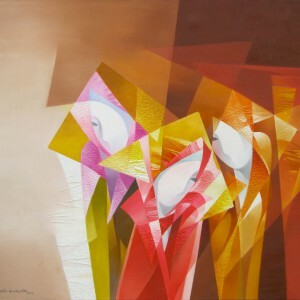 Contemporary life has an intensive rhythm that requires new artistic means of expression. 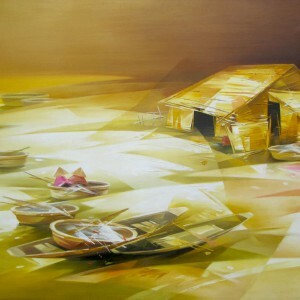 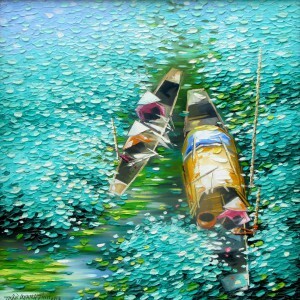 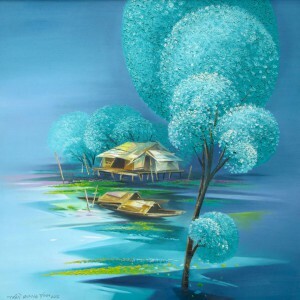 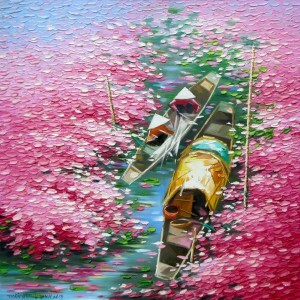 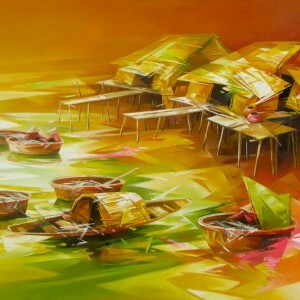 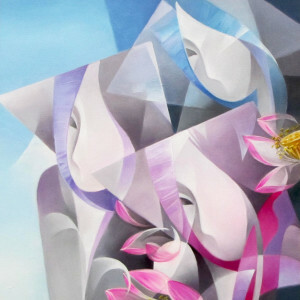 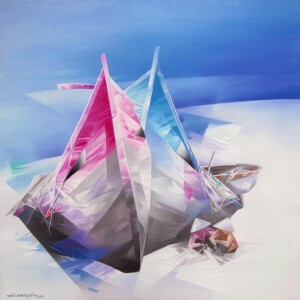 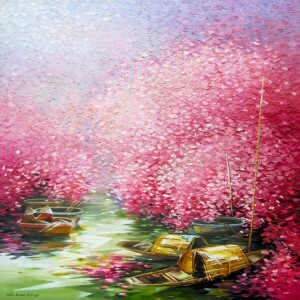 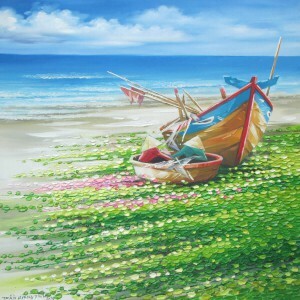 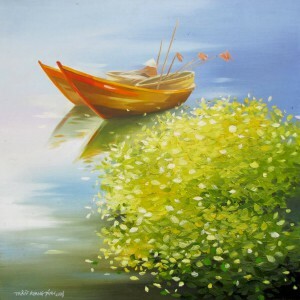 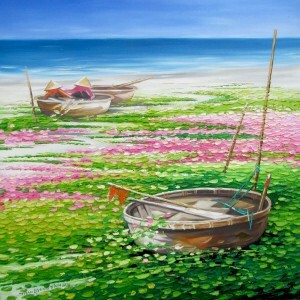 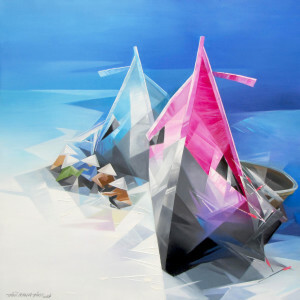 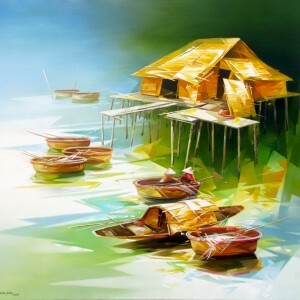 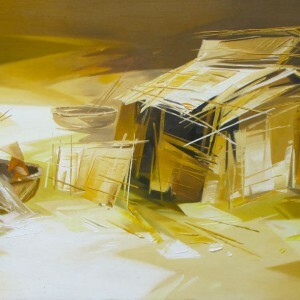 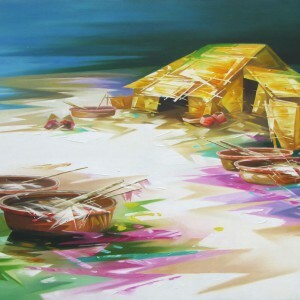 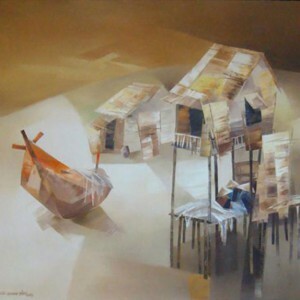 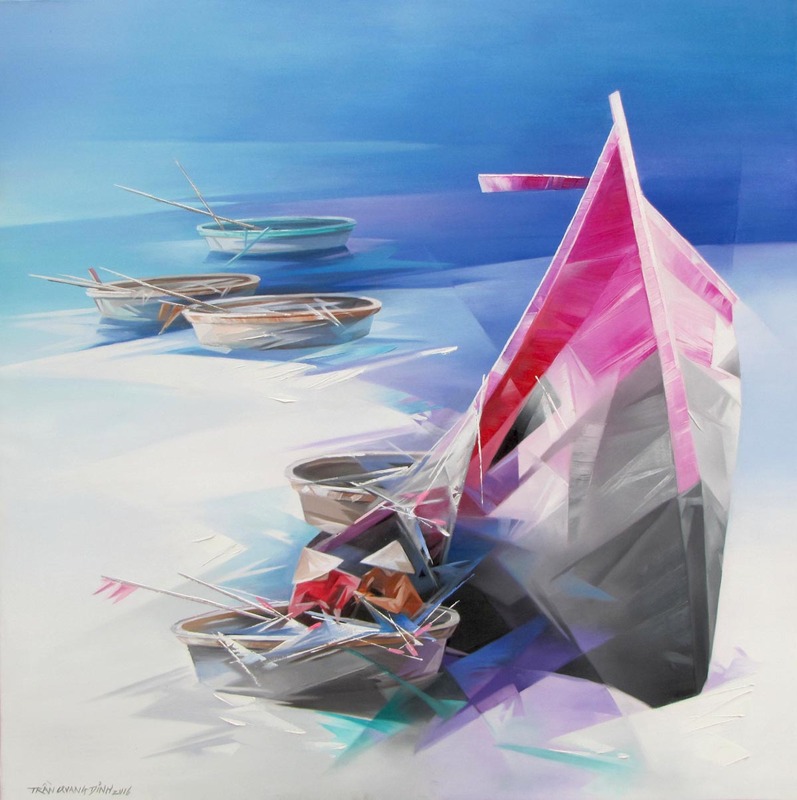 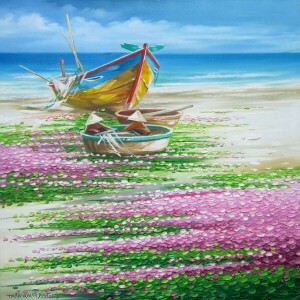 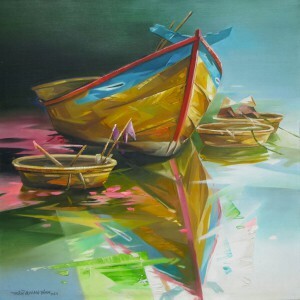 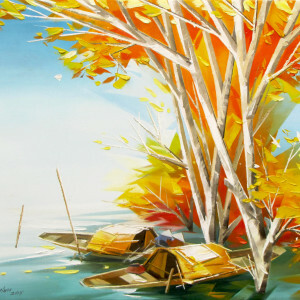 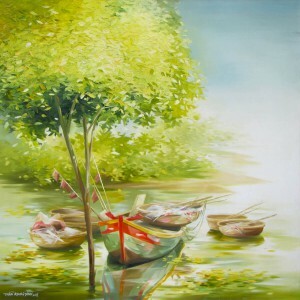 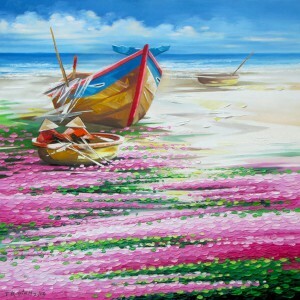 So the experienced contemporary Asian artist Tran Quang Dinh brings a flavor of the contemporary to a traditional oriental motif of boats resting by the seashore in art by applying a vivacious color palette and futuristic drawing. 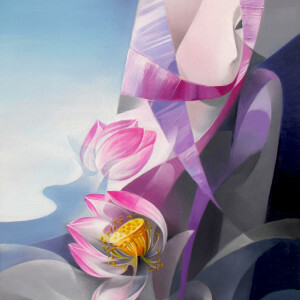 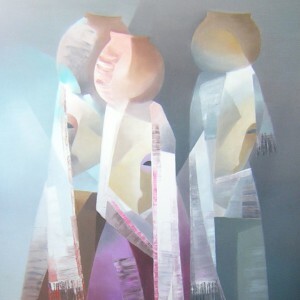 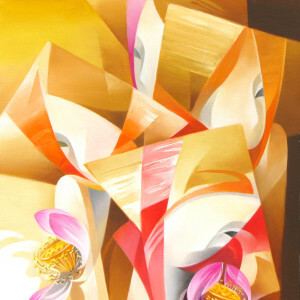 This is a beautiful stylized painting.